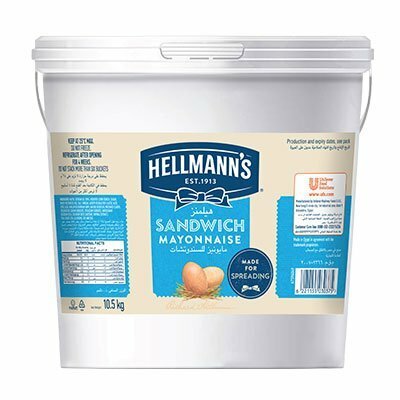 Hellmann's Sandwich Mayonnaise is a heat stable mayonnaise perfect for all your sandwiches ensuring great taste while keeping them fresh for longer. Contains egg, soy and mustard. 9 Months closed shelf life and 4 weeks open shelf life. Use Hellmann's Sandwich Mayonnaise to make the Tomeya dressing for your sandwiches just by adding garlic and a squeeze on lime.